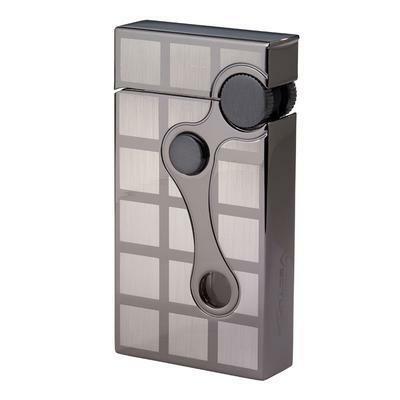 This Dual flame lighter has a regular and torch flame. Operates up to 20,000 feet. Fuel Gauge window. Step 1 – Ignite regular flame first with wheel. 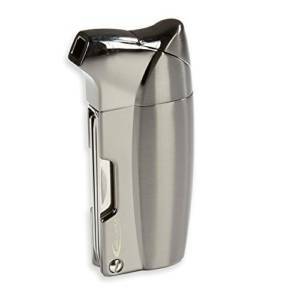 Step 2 – Press button on side of lighter to ignite torch flame. 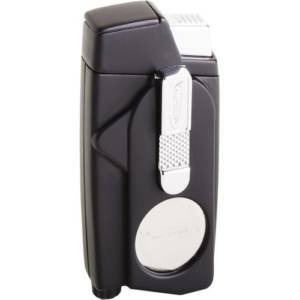 Vector KGM Industries is a leading manufacturer of high quality cigar, pipe, cigarette and torch lighters, and other smoking accessories. Their “No Proof Warranty” covers all of their products. All of Vector lighters products have gone through Vector KGM’s demanding tests and inspection standards set by KGM Quality Control. 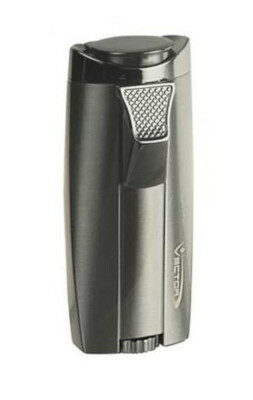 Vector Elite Dual Gunmetal Unique lighter, strike the flint ignition and get a nice strong soft flame for pipes or cigarettes or press the front button and switch over to a single torch flame. Just like having two lighters in one. 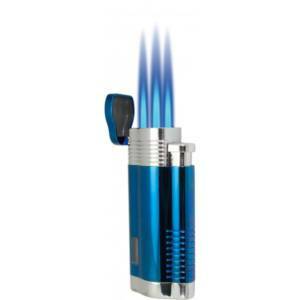 Butane refillable with a fuel window to see how much fuel is left. Nice heavy all metal construction and classic design.